H&E Comms was established in 2007 by Matthew Heirene (Managing Director), who has over 20 years experience in the Telecoms Industry. Matthew has worked for the major operators and has a wealth of experience in this field as a Telecoms Engineer and Fibre Optics Engineer in South Wales. 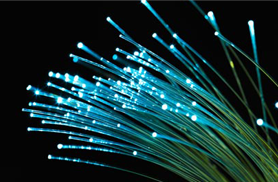 In 2011, H&E Comms realised the future of the telecoms industry was in fibre optics and took steps to embrace the future. This started with Matthew qualifying as a Fibre Optic Engineer and gaining City & Guilds qualification, which has resulted in H&E Comms becoming a successful fibre optic business. H&E Comms started working on the BT Superfast Fibre Optic Network in 2011. From then until the present time, the business has successfully spliced and tested major cable projects for BT, working to strict deadlines, delivering a high quality end product on time. Included in these cable projects has been the splicing and testing of numerous BT fibre cabinets and Passive Optical Networks (PON's) ready for Superfast Fibre Optic.